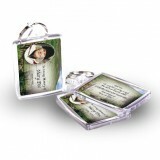 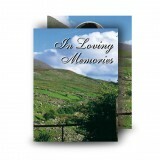 Imagine all those fondly recalled times, dates of celebratory occasions and dear memories. 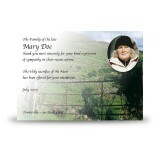 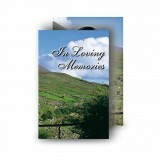 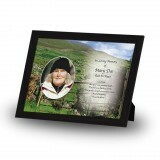 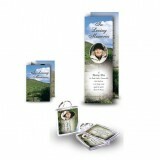 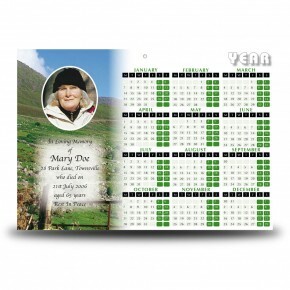 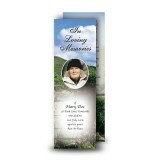 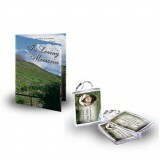 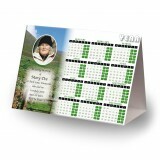 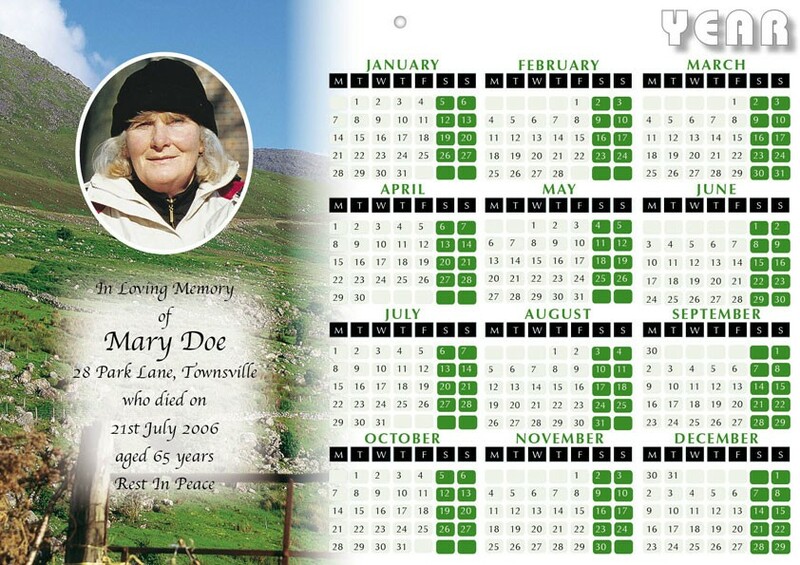 Our personalised Single Page Memorial Calendars with the design of your beloved person is a way of remembering both your loved one and the times you shared. 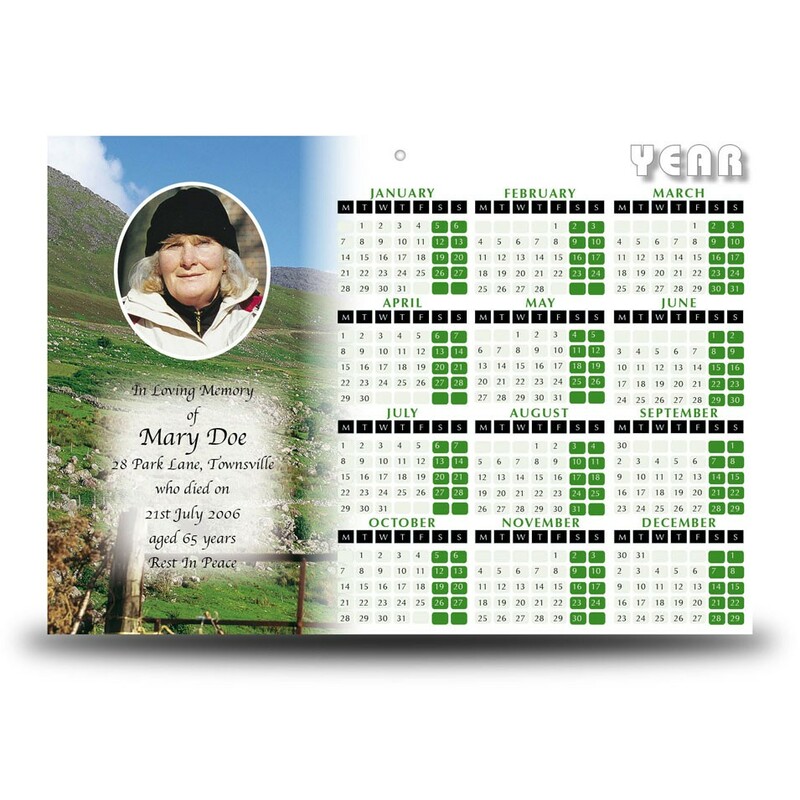 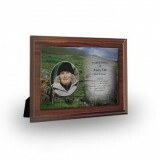 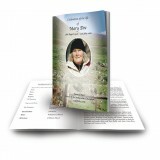 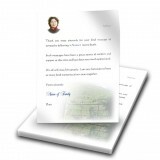 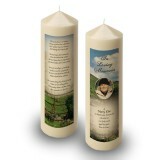 Over 300 designs and more than 200 verses for your personalised One Page Memorial Calendar allow for a wide range of customisation - including photographs, background images, colour and memorial verse.